Funky and Fun, One of a kind Handmade Clothes .. Announcement My clothing is Funky and Fun, and mostly Up-cyled Fashions which are perfect for costuming at burning man, festivals, and other mystical gatherings, yoga, and even everyday comfort. Everything I make is One Of A Kind (OOAK) and handmade by me so each item in very unique. Feel free to contact me about any of my items for sale or previously sold. I can make custom items for you if you love something I have already in my shop which is not your size and or if you love something that has already been sold. I can usually recreate it. All of my items are individually hand made. Some from up-cycled fabrics and some from new fabrics. In any case you will find that my clothing is made with skill and love. My clothing is Funky and Fun, and mostly Up-cyled Fashions which are perfect for costuming at burning man, festivals, and other mystical gatherings, yoga, and even everyday comfort. Everything I make is One Of A Kind (OOAK) and handmade by me so each item in very unique. Woman's Two toned Booty shorts. Custom order a pair! Burning man Festival. Short shorts. Rave shorts. Woman's Two toned Booty shorts. High waist. Custom order a pair! Burning man Festival. Short shorts. Rave shorts. Men's Booty shorts. Custom order a pair of shorts for men! Burning man Festival Mens festival clothes Mens rave shorts. Rainbow Disco PiXiE Pants. Pride pants Request a custom made pair of my Disco PiXiE pants in rainbow colors. Pride Pants. Rainbow leggings. Yummy Crushed velvet Disco PiXiE Pants. Ready to ship, up for grabs! Brown and Teal velvet with Brown Lycra. Disco PiXiE pants. Patchwork flare. Request a CUSTOM pair. Select your color of cotton Lycra and let me do my magic! SALE! Boho Flare Goddess Disco PiXiE Pants. Ready to ship! Purple Tan and Green with a hint of sparkle at the bottom purple! Disco Lion / Rave Lion / One of a kind Lion Costume. bell bottom leggings Made custom just for you! Mens Digital Disco PiXiE pants. Fun Burning man Festival Pants. Silver Holographic and cotton Lycra Leggings for men! Men's Techie Leggings. Green Brown and Gold. Ready to Ship! Burning man. Festival. Shiny Spandex and Cotton knit Lycra Leggings for men! 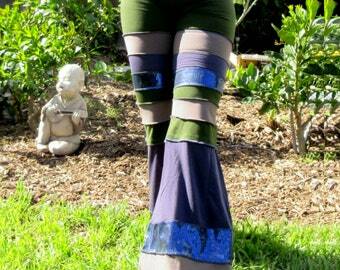 Request a Custom order for wide leg bell bottom elfin PiXie PaNTs. Upcycled wool, wool blend, or other combos of sweater knit fabrics. 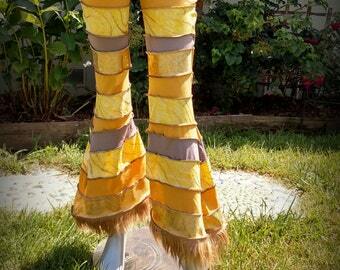 Request a Custom order for boot cut elfin PiXie PaNTs. Upcycled wool, wool blend, or other combos of sweater knit fabrics. Request a custom order. Wool PiXiE Pants! Great for keeping warm this winter. 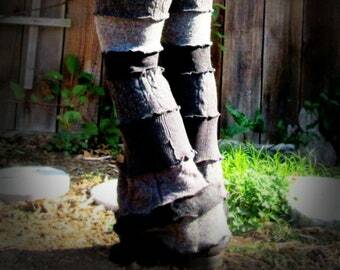 Custom made wool leggings, many colors available! 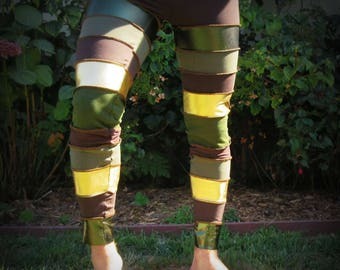 C3PO PiXiE Straight legged leggings. Available for Custom Orders! Black and Gold Cotton Lycra and metallic Lycra. Womans or mens leggings. READY TO SHIP! Blow out rebranding sale. Pink PiXiE Capri's. Pink, taupe and black with hints of silver sparkle. Up-cycled. habe die hose leider nicht erhalten-Verkäuferin reagierte bisher noch nicht auf meine nachfragen.bin sehr enttäuscht. Men's techie legging. Getting creative and flashy. Elfin PiXiE pants. Custom made for you! I have lots of colors available. Rainbow leggings. I have several different styles of RAINBOWS!! Funky fun Bell Bottom Disco PiXiE Pants. Made from up-cycled materials. I am a moma to all. Moma D is my nickname I decided to use it as my clothing brand name. I tend to make funky fun fashions that mimic what I see people wear when I go to music festivals. Also the fact that my clothing is made from up-cycling old clothes gives them uniqueness and one of a kind style which people in the festival world love. I love to create things this shop allows me to share what I create! I make my own patterns and primarily up-cycling old clothes to make new ones. everything I make is One Of A Kind and handmade by me with LOVE!